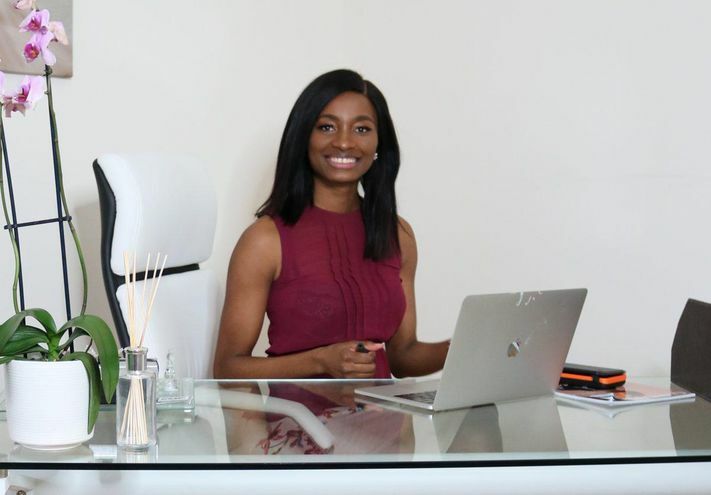 From a thriving legal career to taking on the publishing industry, emerging super successful, Nigerian born Chioma Onwutalobi at just 24 is the very definition of success. She is founder Glam Africa, “a dynamic media platform that connects readers with the latest style and beauty trends” providing content varying from news to lifestyle, fashion and beauty to a wide spectrum of readers beyond the African continent. Glam Africa has proudly featured some of the most prominent names. The young enterprenuer, recently featuring on Forbes’ “diverse founders making a difference”, sat with contributor Tommy Williams, where she gave a sneak peek into her success journey; How she was able to overcome naysayers, stick to vision and boldly build her empire. Chioma’s career began in the legal department of London-based oil & gas firm. Qualifying as a lawyer was something she had always wanted to do. As part of her role, she found herself frequently traveling to various parts of Africa, often for months at a time, including Nigeria, Ghana, South Africa, and The Democratic Republic of Congo. Whilst working on deals, she felt significantly disconnected to her country of origin and came to the realization that she knew very little about its neighboring African countries. Unsurprisingly, however, she constantly ran into discouraging reactions when she shared her business plan with others in the publishing business. At that time in 2014, due to the increased use of online mediums for news, many publishers were shutting down and those that still remained were frantically restructuring their businesses in order to survive the changes. Unfazed by the noise, Chioma decided that she still wanted printed media to be a substantial element of the business, to complement the other online products and that she would figure out the best way to distribute the magazines in both Europe and Africa. Others whom she spoke with disapproved of the magazine’s name ‘Glam Africa’. Her critics commented that it was an unnatural juxtaposition, given that it was unusual to associate the two words with one another. However, Chioma knew exactly what she wanted her brand to convey and stayed true to the core message. The name stuck – something that would come to be a significant benefit later down the line. A year of planning later, Chioma was finally ready to launch her platform. She sought seed investment however, after some unsuccessful attempts, opted to take the riskier route and spent her savings on getting the business started. She had already researched the process of producing the magazine itself, however, two other variables required interest from external parties: getting her magazine stocked at retail stores and finding companies who would buy advertising space in the magazine. Chioma was fortunate with the timing of her venture, given that the perception and appreciation of African culture was on the rise, with persons of African origin around the world reconnecting with their roots through music, fashion, and art. Put simply, African culture was trending globally. Her brand identity was clear, bold and intriguing. This approach drew the interest of celebrity clientele, who wouldn’t normally feature in a lesser-known publication such as Glam Africa at the time of its inception. Chioma admits that the “timing was key, had I done this 10 years ago it may have not been possible or would have required substantially more investment”.